Less than 24hrs to get in on the pre-sale! Remember you get 1000 additional SED tokens in the pre-sale, as well as added bonuses for ETH contribution greater than 1.5 ETH, and an entry into a drawing for 200,000 SED if you contribute greater than 7 ETH! 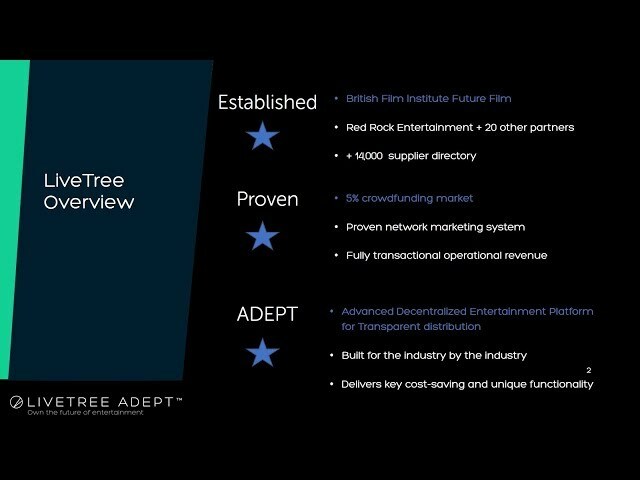 Re: [ANN] LiveTree ADEPT [SED] Token Pre-Sale Live! 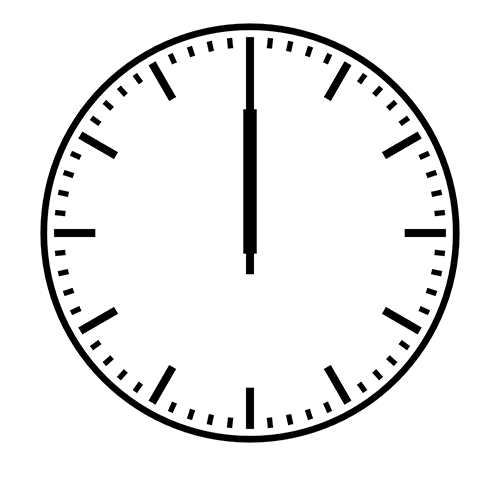 FINAL HOURS! @, Don't miss it! Last Day of LiveTree Pre-Sale. Ends Tonight Dec. 20th. Midnight UTC / 7pm EST / 4pm PST! Don't miss out, you still have time. The pre-sale is still open. Not to forget, the pre-sale offers a 50+% discount which will not be available during the main sale. Additionally, when you purchase 7 ETH or more of Seed tokens you will also be entered into a lottery draw to win a huge 200,000 Seed token prize. The pre-sale is still open, to avoid disappointment visit livetree.com as soon as possible. Thank you for supporting LiveTree ADEPT. We hope that you have had a lovely winter holiday. As we enter 2018, it's time to give you a little bit of an update about our plans. Wednesday Jan. 31st 2018 00:00:00 UTC and will end Friday 23rd Feb. 2018 23:59 UTC. Over the coming days, we will be announcing several key partnerships and developments we feel will dramatically increase further success in the main sale and reflect positively in the overall value of the Seed token. As you may already know, we reached our soft-cap and sold over 1,000,000 Seed Tokens in our pre-sale. Together with our partners, we are very excited to be getting closer to our vision for the entertainment industry of the future. If you have any enquiries, please do not hesitate to contact us by simply emailing us at team@livetree.com or visiting our telegram channel. We wish you all the best for 2018 and a very happy new year! Introducing the World’s first TV Crypto Game Show - CryptoShare! CryptoShare is a TV Game Show designed to showcase the best uses of Blockchain Technology. We are extremely proud to bring this project to life with 7 ICO Teams competing in viewer-designed challenges during a 5 week span, with the winner claiming up to 1,000,000 in SEED Tokens, that would also be owned by you, the viewer. CryptoShare is a show that we believe could educate millions of people about the potential of Blockchain technology, which is at the heart of everything we do at LiveTree. CryptoShare will be released online via our video channel - Blossom TV! We are also working hard to get it released via the Traditional TV Broadcast Channels. Don’t Forget - LiveTree Seed Main Sale Starts at 31st of January! CEO Ashley Turing will be speaking at the closing event on the evening of the 24th! 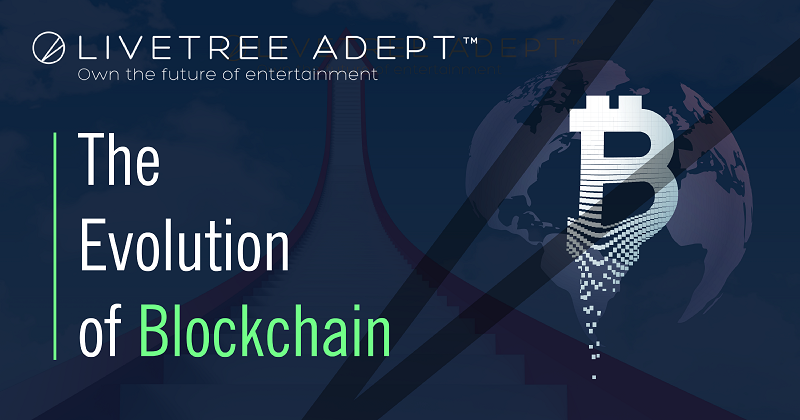 LiveTree Adept is launching six-part action-drama Children of Satoshi funded by the sale of digital tokens. It will start selling digital coins to fund the series at the end of January and will start pre-production on February 5. These producers want to revolutionize the entertainment industry. 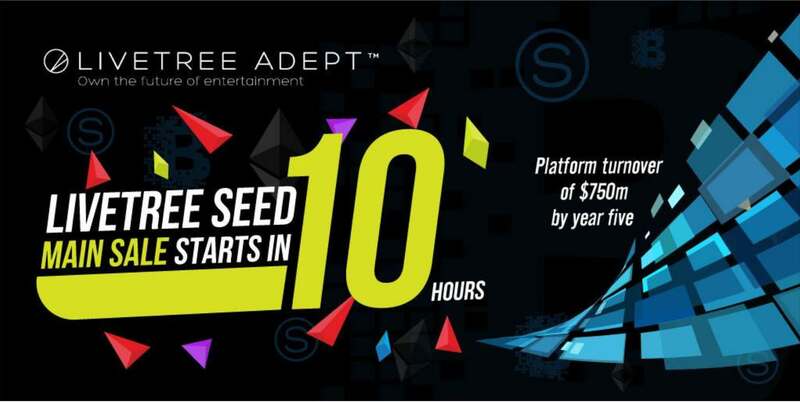 Re: LiveTree ADEPT [SED] Main crowd-sale is now LIVE!